Due to the custom nature of my company, clients often email me with their visions and dreams and ask my feedback on where they should book their Antiques Diva Buying Tour based upon their interests. When a client told me his partner was a landscape architect with a keen interest in re-purposed and antique garden items and showed me some pictures of past projects I immediately channeled Italy! Next thing I knew we were taking this client on a buying tour. Because our tours are a-la-carte, clients can book their buying tour by the day. They can add our tours on to other travel plans – booking anything from 1 day to 1 week on tour then do their own additional travel added on to the trip. Since this client was planning time near Rome I had to share my advice with him (and you) on places where he’d gain inspiration as well – telling him which castles and villas we thought he should see since architecture is their passion. Part of the magic of my company is that I don’t do this alone. I have a team of 18 Diva’s who help lead antique buying tours. I asked our Italian Diva Guide Susan Pennington her advice and she came back with a slew of Roman Architectural and Garden options. As Susan explains, “The area just above Rome is Viterbo, which is the most populated with both gardens to tour and antique/architectural sources to buy. I happen to be passionate about gardens and villas, perhaps my English blood, and have visited many in my 20 years living in Tuscany.” For those of you who don’t yet know our Italian Diva Guide Susan she’s British by birth, Italian by choice. 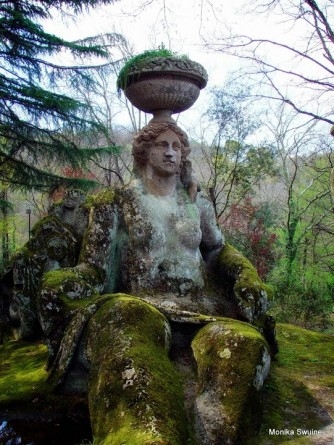 Parco Bonmarzo is one of Susan’s favorite gardens to tour. 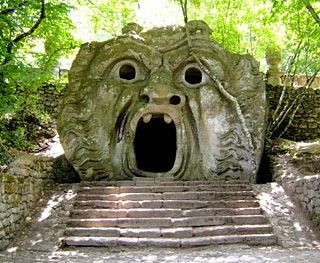 Located in Lazio, it has Etruscan, Roman and Medieval influences, giving it a sense of history and a unique style of its own. 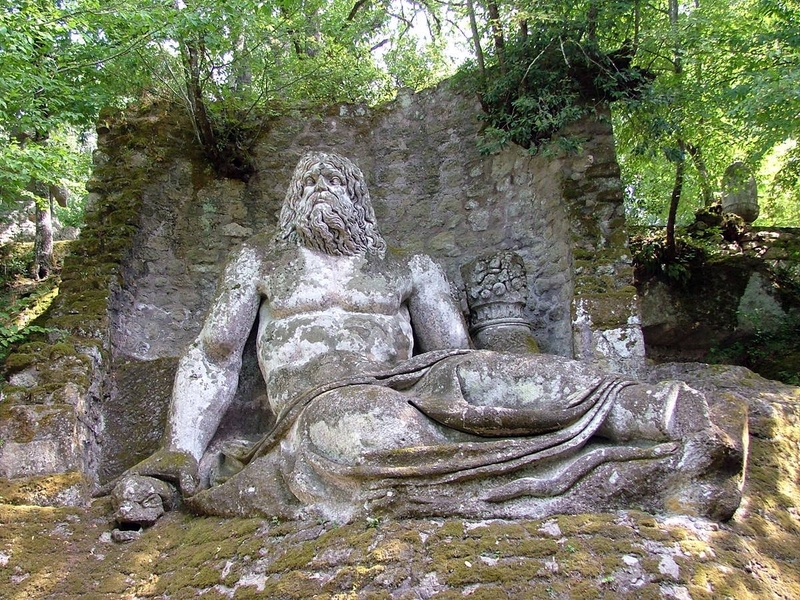 Also known as “The Villa of Wonders,” one passes through the gardens only to come upon stone figures and life-like statues of animals. From elephants to three-headed beasts to Neptune, what’s known as The Park of the Monsters is a sixteenth century fantasy world. For a true journey to the past, visit Castello Ruspoli which dates back to 847 AD where original traces of the structure can be found built into the cliff where it lies. Over the centuries it’s been used by Pope Leo IV as a convent for Benedictine monks and a private residence by several noble Italian families. 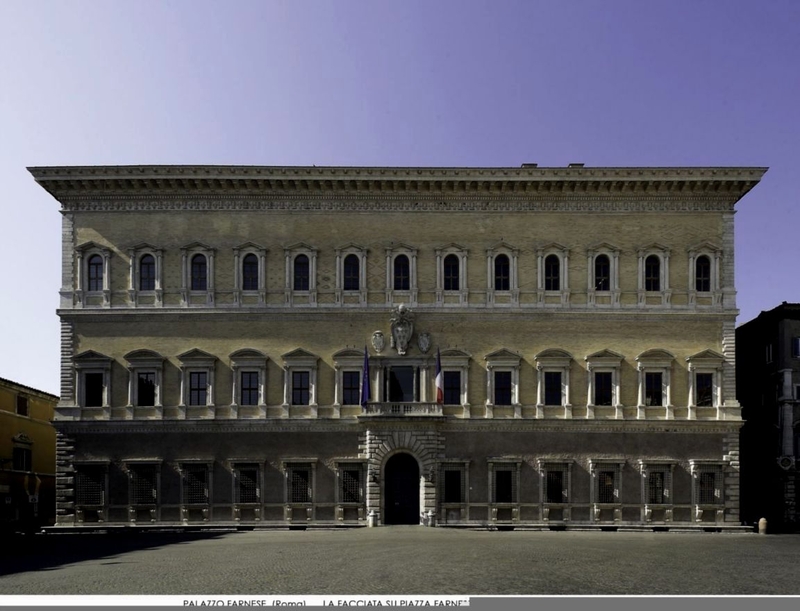 For a taste of sixteenth century architecture, Palazzo Farnese is just the ticket. 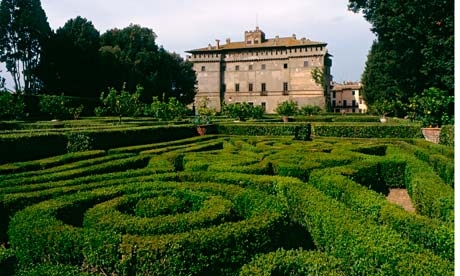 The Palace was built in the shape of a pentagon, and lends itself to the feel of a fortress more than a villa, surrounded by a deep moat which today we recognize the great bastions specially angled left as to demonstrate the great military power of the Farnese family. 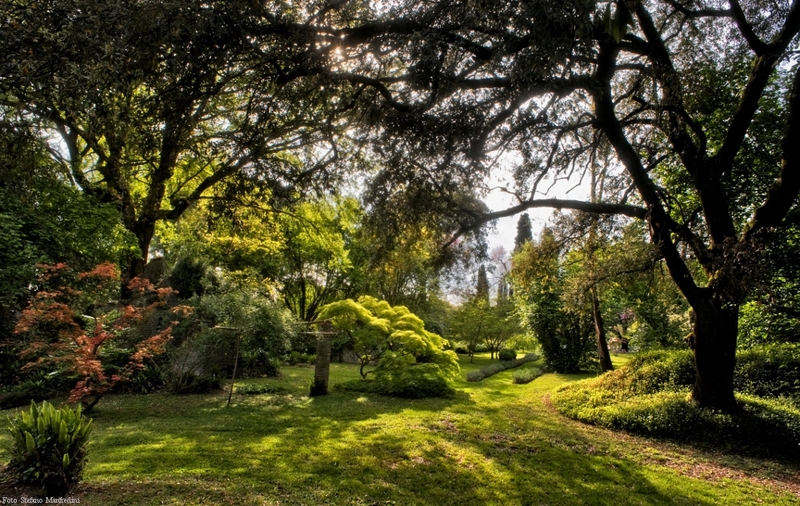 Giardino dei Ninfa is an ideal place to tour if you love historic gardens as it is considered one of the most beautiful in the world. With an overall Anglo-Saxon style, the Garden of Ninfa contains paths that spread out in a non-geometric fashion, all leading to informal plantings. Spontaneity is the name of the game and visitors are rarely aware of the human hand in the garden. If you find yourself in Italy, you simply must visit some of the wonderful old villas and castles. Hopefully this list can be a starting point for your adventures (or at least daydreams!). We’re always happy to recommend places to see for tourist adventures alongside your antiques buying tour. Consider booking an Antiques Diva & Co Buying Tour in one of our 8 tour countries–France, England, Italy, Belgium, Sweden, Denmark, The Netherlands or Germany- just email info@antiquesdiva.com for more information. to be just what I’m looking for. Do you offer guest writers tto write content for yourself?